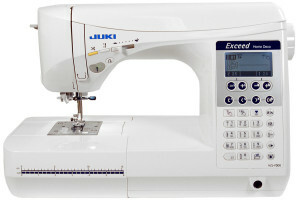 Computer Sewing Machine with 105-Stitch Patterns including 16 Automatic Buttonholes and 3 Fonts of Letter Sewing. 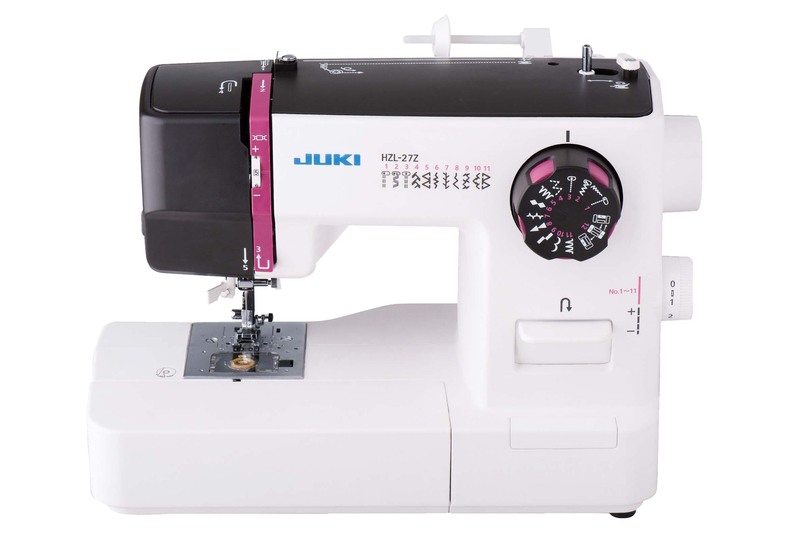 In order to provide beautiful seams and outstanding feed performance, JUKI adopted box feed system. The conventional feed mechanism is oval motion. On the other hand, the box feed moves the feed dog in a box motion. This eliminates material shrinking and shifting. 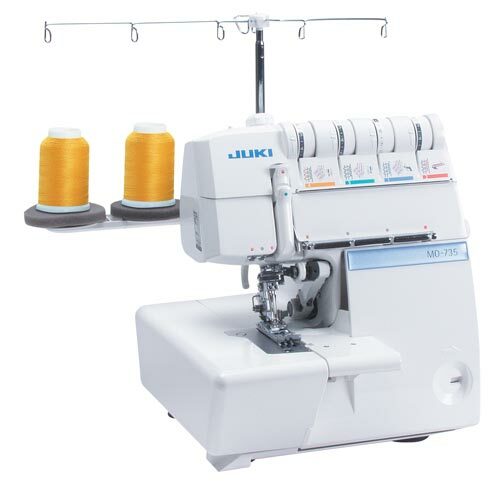 This accurate feeding system provides superior stitch quality for a variety of light to heavy weight fabrics. HZL-F series has a wider underarm space, with a wider table it is more enjoyable and comfortable to work with large projects. Frequently used stitch patterns can be selected directly through the Direct Select mode. Presser foot can be raised and lowered by the knee-lifting lever. Presser foot lift is up to 12 mm when the lever is used. 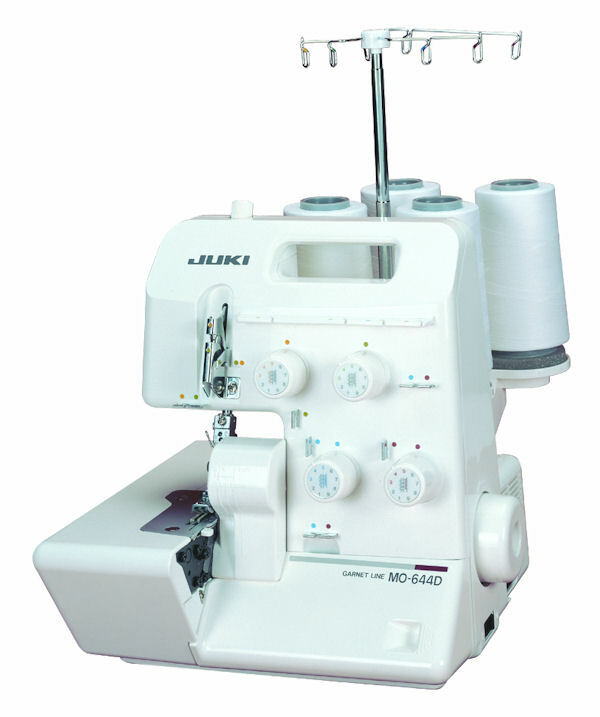 HZL-F series trims both needle and bobbin threads automatically by pressing the heel side of the foot controller. 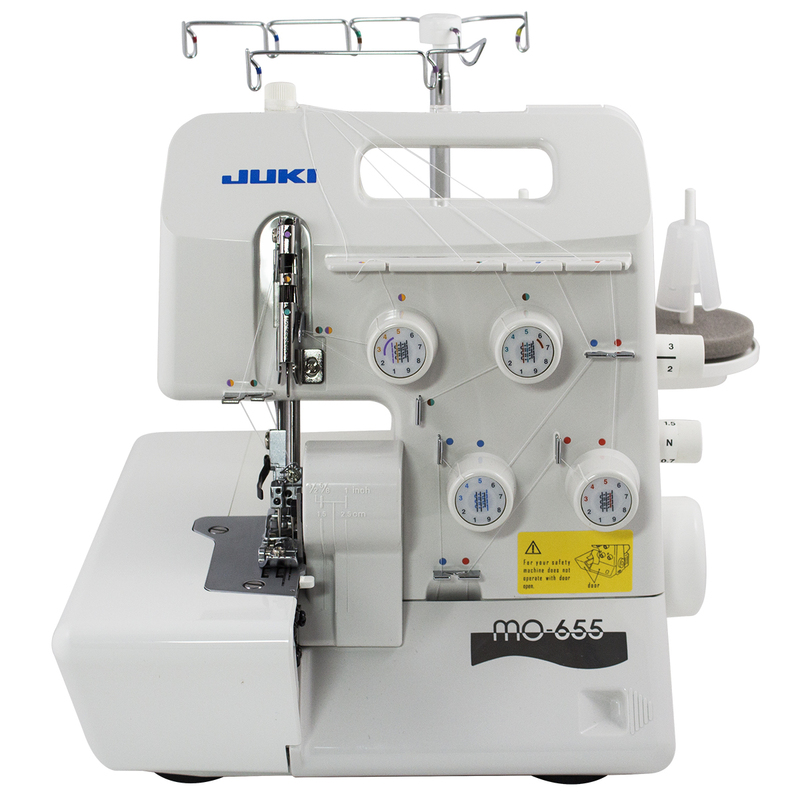 With this feature you can concentrate on your project while automatically cutting the thread. HZL-F series has powerful feeding thanks to a special steel feed dog and improved presser foot construction. Heavy material projects, such as hemming denim jeans, can be sewn with ease!